Branchville, New Jersey Mayor Tony Frato, a well respected Democrat in the state, added his endorsement of Hugin on Tuesday to those of three other prominent New Jersey Democrats. 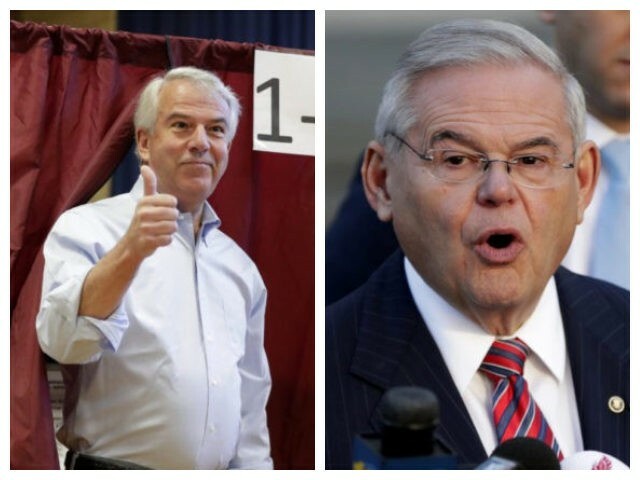 “The high stakes in the New Jersey Senate race are bigger than any political party which is why I’m proudly supporting Bob Hugin for U.S. Senate,” Frato said in a statement released by the Hugin campaign. “Bob Menendez has spent the last 25 years in Washington as an ineffective, corrupt career politician demonstrating time and again that he is only interested in furthering his own interests over the people of our state. New Jersey deserves better,” he added. Frato went on to hit Menendez where his most vulnerable, on the issue of personal integrity. “I have enjoyed bipartisan support throughout my years in public service and I have worked with people on both sides of the aisle to solve the problems our community faces. Bob Menendez has lost his way in Washington, where he seems to be serving himself instead of the constituents in New Jersey,” Frato concluded. Menendez, along with his friend and political donor, Dr. Salmon Melgen, was indicted on public corruption charges in April 2015 by the Department of Justice (DOJ). Menendez’s first trial ended in a mistrial in November when the jury could not reach a unanimous decision. In January, the DOJ dropped the charges against Menendez. Dr. Melgen, Menendez’s co-defendant in the public corruption case, was convicted on 67 felony counts of Medicare fraud in April 2017. Hugin expressed his appreciation to Frato for his support. “Bob Menendez’s track record of corruption and ineffectiveness are an embarrassment to New Jersey and I’m honored to have people like Mayor Frato who are willing to stand up and acknowledge this election is bigger than party politics. It’s about what’s best for the people of New Jersey. As Senator, I will do what I’ve done my whole life 一 bring good people together to get results,” Hugin said in the statement released by his campaign. Brick Township council member James Fozman, a Democrat, endorsed Hugin on August 27. Teddy Price, a Democrat freeholder candidate from Toms River endorsed Hugin on September 5. Former New Jersey Democrat Congressional candidate Mark Dunec endorsed Hugin on September 14. The latest Real Clear Politics Average of Polls shows Menendez with an 8.3 point lead, but the trend for the embattled Democrat is definitely downward. The three most recent polls listed in the Real Clear Politics Average of Polls show Mendendez’s lead hovering between 2 points and 6 points. The last time a Republican was elected to the United States Senate from New Jersey was 46 years ago in 1972 when Sen. Clifford Case (R-NJ) was re-elected to his fourth and final term.